Spotify’s previous rules for downloading songs offline left many consumers frustrated because of its strict limitations. Prior to its most recent update, users were restricted to downloading 3,333 songs to play offline across three devices. Now, Spotify unveiled its latest update, and without a proper announcement, Spotify nearly tripled its download limit. Users noticed this week that the limit had been raised, and Spotify confirmed the change to Rolling Stone. Spotify users without a paid subscription could soon have the ability to skip audio and video advertisements. The music streaming service has quietly rolled out the new feature, dubbed “Active Media,” to users of its free, ad-supported version in Australia. Recorded music on compact discs has had a long, fruitful life. It’s been 36 years since Billy Joel’s ‘52nd Street’ became the first commercially-available album on CD and Sony rolled out the first CD player -- their CDP-101 -- right alongside it. Fast forward to Best Buy’s announcement on Monday that it will cease selling CDs come June 1, 2018. If you're over a certain age, then you probably remember purchasing music way differently than you do now. Remember going to your local music store? If you were like most music lovers, going to a cool mom and pop shop to buy vinyl, a cassette tape or a CD was just as enjoyable as listening to the music at home. Then before you knew it, everything changed. Vinyl became more of a collector's item than anything else; cassette tapes died an abrupt death, and CDs hung on for dear life competing with digital downloads and streaming sites. But according to Nielsen, CDs are hanging on quite well, because people are still buying them. In 2012, 193 million CDs were sold compared with 118 MP3 albums, which may be surprising to some. And according to market researchers, The NPD Group, CD sales have increased for the second year in a row -- making a 2% sales jump. Russ Crupnick, the senior vice president of industry analysis at NPD, said CDs are still a go-to for some music lovers and for some casual music listeners too. He says many consumers feel they're getting more bang for their buck with a CD purchase, compared to buying an MP3. "CDs are the gift that keeps giving, which proves that even in an increasingly digital age, consumers will respond to quality content and strong perceived value, even if it comes in a physical package," Crupnick said. "The CD still has a powerful attraction for both older, mainstream consumers who listen in their cars, as well as to super fans who enjoy owning the package and assortment of songs from their favorite artists," he added. In addition, The NPD Group says CDs are being made a lot better today than years past and many consumers feel the overall quality of the sound is better on a CD than on an MP3. Another thing that's keeping CD sales going is all the streaming sites that are now available. Experts say sites like Spotify, Pandora and MOG give people the chance to check music out for free, and if they like what they hear, many consumers will buy the physical copy since they already know what to expect. This wasn't possible in the 90s, when buying a CD was like taking a shot in the dark. Sure, you heard samples of an album through radio singles, or you might have listened to a CD at an in-store listening station. But outside that, you really weren't sure if the entire CD was good. Another thing that's drawing people to purchase a CD is the current state of music, say experts. Crupnick believes today's pop music is better than it was just a few years ago. "The quality of pop music has been better recently, from Adele to Lady Gaga to Katy Perry to Susan Boyle, and people are responding to that, he explained." And 10 years after the advent of Apple's iTunes, far more people buy CDs than downloads." 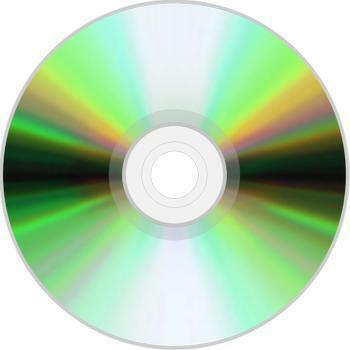 Apparently, online stores like Amazon are catering to those folks who still like CDs, as the company has recently added a feature called AutoRip. Right after you purchase a CD, Amazon sends you the MP3 version of the album so you get both versions for the price of one. And it's not just the new albums that you can AutoRip, you can use the feature for any album made from 1998 on. Those who prefer to keep things modern and just buy the MP3 version of an album, might be better off purchasing the CD. 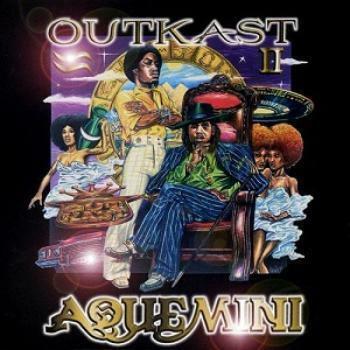 For example, legendary Hip-Hop group Outkast's CD "Aquemini" CD goes for $8.79 and you get the MP3 version for free. But if you only buy a digital copy you pay about $10, so from a price standpoint, you get much more with a CD purchase. Amazon added the AutoRip feature to vinyl purchases too. When it comes to vinyl, some may believe only a small portion of consumers are still buying it, but that's not the case, says the International Federation of the Phonographic Industry (IFPI). 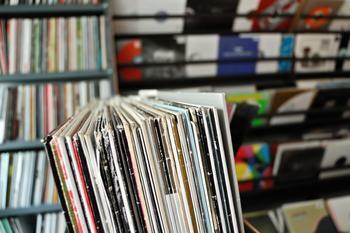 In April of 2013, IFPI announced there were $177 million in vinyl sales in 2012, an 18% jump from the year before. And that's the highest level of vinyl sales have been since 1997. 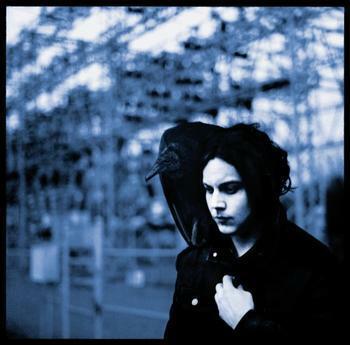 White Stripes front man Jack White scored the most vinyl sales in 2012, with his solo album "Blunderbuss." In all, he sold 34,000 copies. And why are so many people buying vinyl these days? Nick Catalano, the owner of Beatnick -- a throwback record store in Montreal -- says people come to his store to buy vinyl because they want the real thing, not a modernistic watered down version of an album. "We're like the curators of a museum," said Catalano about his store. "Why would you want a print of Picasso when you can get the real deal? It's the same thing with records." In addition, Catalano says that a good portion of his customers will ask about a certain album, and then go online to check it out. If they like it, they come back to his store and purchase it, which is a popular way people are buying music these days. So if you thought CDs and vinyl had died a final death, think again. And if you feel you're an alien because you're still interested in physical albums, you clearly aren't alone. And lastly, digital downloads don't provide the cool artwork or liner notes that most music lovers enjoy taking in, which is another reason people are still buying CDs and vinyl in relatively large numbers. Spotify, the world’s largest music streaming service, has officially filed to go public in a risky approach called “direct listing.” The company will sell shares directly to the public without banks serving as underwriters to set pricing. Following its decision to go public via an unconventional direct listing, music streaming service Spotify kicked off trading Tuesday just after 12:30 p.m. ET at $165.90 a share -- up 25.6 percent from a “reference price” of $132. Share prices dropped as the day went on, ending at $149.01. While early buyers suffered losses on paper, the volatile price swings that many had expected were not seen. Following its decision to file for IPO in a non-traditional public listing, Spotify announced that its stock will start trading directly to consumers on April 3. The company will trade under the ticker name “SPOT” on the New York Stock Exchange. The music-streaming service announced the date at its “Investor Day,” a live-streamed, open-to-the-public event designed to introduce the company to public market investors. Not long after going public, Spotify may be planning changes to its free subscription tier. Sources familiar with the matter told Bloomberg that the music-streaming giant is planning to change its free tier to be more like its paid subscription service. The new version of the app will make it easier to use the ad-supported service on mobile devices, according to the report. An official announcement regarding the planned update is expected in the next few weeks. Most times, the advancement of technology is a wonderful thing. When a new invention or gadget comes out, it often makes our lives easier. Sometimes a technological advancement will make it easier for us to learn something or it'll entertain us and allow us to have fun in some sort of way. But sometimes when a new gadget, machine or piece of software gets invented it doesn't really improve things. It just changes them. Take photos for example. Mom and Pop Stores: How Do The Succesful Ones Survive? Even with all of the technology we have at our disposal today, the earth still holds its fair share of mysteries. Like how come water can't be duplicated? Or how high does the sky really go? Another earthly mystery — although more solvable — is how do mom-and-pop stores survive in today's world of big store chains and giant franchises? This question always plagues me whenever I see a small storefront window in the midst of large shopping centers with their brightly lit windows and multitudes of people. It's baffling to me. How do they stay in business? Take record stores for example. Between the double whammy of the Internet and big-box retailers, mom-and-pop record stores have pretty much spun their last. Not so long ago going to a brick-and-mortar store to thumb through rows of vinyl, cassettes and CDs was a joyful part of the music listening experience. Today consumers seek out music with the expectation that it should not only be received immediately but also for free, or close to it. 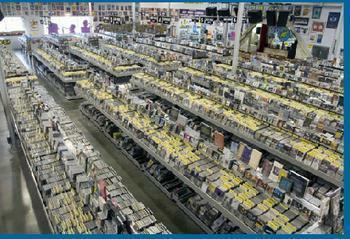 Newly-released music is treated almost as if it's disposable, which has even made large retail stores suffer. I mean think about it, when was the last time you went to Best-Buy to purchase a CD? It's probably been a while, which shows that all stores — big and small — are suffering in this particular area. But somehow not all mom-and-pops are hurting, which brings me back to my point of being amazed whenever I see one wedged between two chain stores. I always think it's beautifully defiant. It's like seeing an older person at a music concert full of twenty-something’s. It's like two people from completely different cultures finding common ground or even falling in love despite social norms. It's a way of small family-owned businesses saying, "Hey, we're still here and we're providing a type of service you big guys can't." Some mom-and-pop stores have learned through the years that a certain number of consumers just won't deviate from the way they use to purchase things. This has helped many independent store owners stay competitive, especially in the area of music sales. Others have harnessed the Internet to turn their brick-and-mortar store into a real community that exists both offline and on. 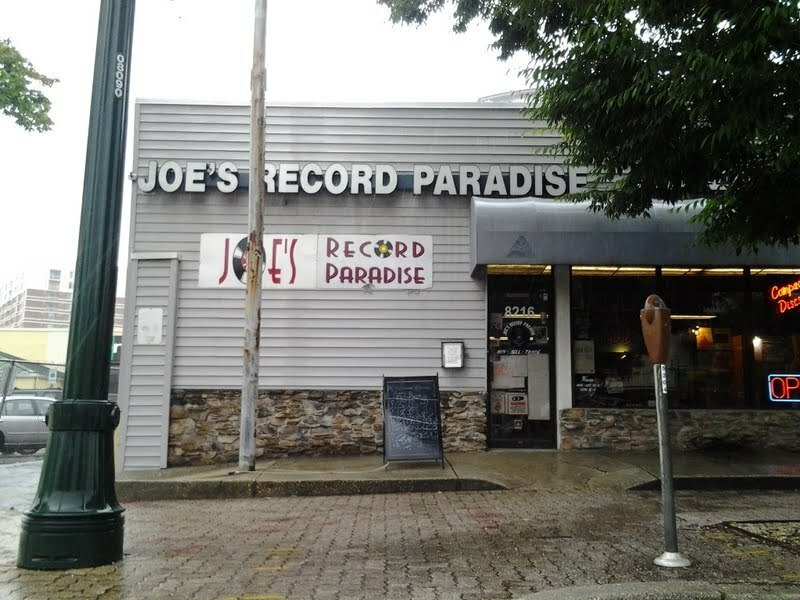 Although both retail chains and the Internet have hurt mom-and-pop stores, Johnson Lee, owner of Joe's Record Paradise, a D.C.- area store, says successful stores are using the web to their advantage as a way to bring their niche consumers together for proper advertising and community-building. “At this point digital is big for us, i.e. Facebook, emails, lists, groups. You go on the Internet you find jazz vinyl lovers [for example], where all they do all day is talk about is 1950s jazz,” says Lee. “If you can get into that, and say, hey guys we got lots of that, then promoting has become a little bit easier. You used to have to pay a newspaper to print something for you and now you can sort of get around that a little bit,” he explains. 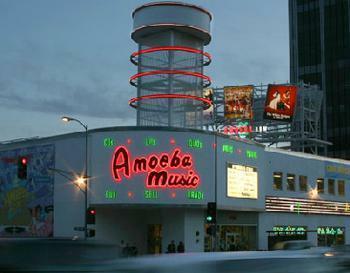 One of the most spectacular examples of using digital media to sell older forms of music and entertainment is Amoeba, the California stores that have expanded beyond the mom-and-pop category but are still essentially local retailers surviving in a category that's supposed to be obsolete. Amoeba operates stores in Hollywood, Berkeley and San Francisco and sells nearly every conceivable kind of music and movies "from the top 40 to the best in underground rock and hip-hop, soul, electronica, new and classic jazz, world music, roots music and experimental music," as the stores' website proclaims. Amoeba sells and buys mostly vinyl LPs, CDs and DVDs, both new and used, but it also stocks turntables and other gear, sells downloads of some recordings and sponsors all kinds of in-store and around-town activities. "We're more than just a record store-- we're a 21st century music outlet, a website, a popular live performance venue, and together with our customers we're a meeting place for California's most colorful community of progressive and creative minds," Amoeba says. My colleague Truman Lewis, an Amoeba fan, says that Amoeba is "what Borders Books was trying to be -- a community gathering place that attracts a wide range of consumers looking for a shopping experience and social outing that amounts to a little more than sitting in front of a computer screen." Besides buying and selling records, CDs and DVDs, you see live performances, listen to poetry readings, go to a cookbook party, meet recording artists and even register to vote. At the Amoeba store on Sunset Blvd. in Hollywood, you also have a shot at running into some of the actors and artists whose work you admire -- not to mention bumping into actors and artists whose work you may admire a few years from now. The place is routinely packed right up until its 11 p.m. closing time each night. “It's a niche market that really never went away," said Johnson Lee. “A lot of people thought vinyl died when it just hibernated for a bit. There was always the core group of people that would never switch to a different format because they're addicted to vinyl. Lee also said that mom-and-pop's survival sometimes depends on consumer trends returning from the past and younger generations being exposed to the buying ways of yesteryear. “For at least ten years kids thought that's all there was, [digital music]” he says. “I've got young kids now and you turn on Nickelodeon and there will be a waffle commercial and the kid is DJ'ing a waffle, so the kids are being indoctrinated again to the vinyl side of things, which may be an industry move after all. Lee notes there is practically a universe of content that has not yet made it into digital form, and perhaps never will. Lee also says people of the older generations are bringing their kids and grandkids into mom-and-pop stores not only to introduce them to products of the past, but also to introduce them to the way things were bought in previous times. “It's a cultural point to come and check out American soul,” he says. Lee took over the music shop, located in Silver Spring, Md. from his father Joe back in 2008, and the 36-year old says the family-owned business actually started in Los Angeles on Hollywood Boulevard, under the name Platypus Records. After Lee's parents wanted to settle down in a more residential area, they decided to return to Joe's childhood stomping ground within the Washington, D.C., area. Despite taking over the store around the time the current recession hit, Lee says he's been able to expand his location twice over and at the moment the store is in good financial standing. What advice does Lee have for people starting small businesses in today's risky business climate? Beats is launching a new music streaming service, Beats Music, in the U.S. “within the next few months,” President and COO Luke Wood said today. Beats acquired the MOG streaming service for $14 million in July 2012 to help develop Beats Music, which Wood said will aim to be different by focusing on "a very specific idea,” namely, the curation of music. 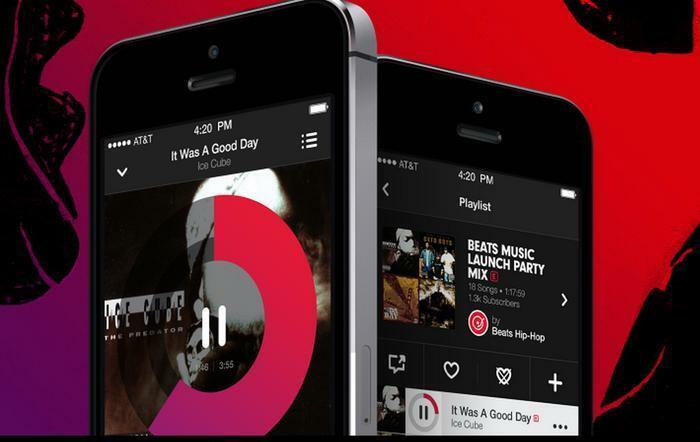 Beats Music will be accessible from iOS, Android, and the Web. Windows 8 support will arrive after the initial launch, he said. He didn't say what will happen to MOG after Beats Music launches. Many diehard music fans are addicted to MOG, which streams at 320 kbps, said to be the highest of the streaming services. It has a library of 16 million songs. Stockholders and CEOs may not like it when their businesses face competition, but consumers almost always benefit. So even if you're not a fan of Dr. Dre the hip-hop artist, you should be glad that Dr. Dre the businessman introduced Beats Music to the online streaming music streaming field. Beats by Dre started out as a company offering physical merchandise, mostly headphones, earbuds and other personal audio paraphernalia. Only on Jan. 21 did Beats Music branch out into the more ethereal realm of selling online streaming music subscriptions. Meanwhile, companies like Spotify are doing the exact opposite: as of Jan. 20, Spotify expanded its offerings beyond music streaming to offer T-shirts, vinyl records and other physical merchandise related to its various artists. Unlike most online streaming services, Beats offers no ad-supported free-to-the-end-user option; a Beats subscription will cost you $9.95 per month. Spotify promptly responded by offering unlimited, free (though ad-supported) mobile streaming. A word, here, about the various types of online streaming music options. Spotify and Beats let you play music on demand — they have songs available, you pick which ones you want to listen to, and when. Services like iTunes radio and Pandora have more in common with traditional non-satellite broadcast radio: you can choose from a variety of stations (“playlists”) dedicated to the genre of your choice – rock and roll; rhythm and blues; country/western, Top 40 – but you have no say over which specific songs a given station plays when you listen to it. However, the iTunes radio and Pandora differ from traditional radio because the latter is not personalized – when you're listening to your local Top 40 station, for example, you hear the exact same songs as everyone else tuned in to that station at that time. And, of course, even personalized on-demand services do more than merely play back the songs of your choice; they also have algorithms to suggest other forms of music you might like, based on your previous choices. The various music services do share one problem more in common with old-school cable or broadcast TV networks rather than radio stations: in some cases, the works of various artists can only be had through a given company. Going back to the traditional radio analogy: if you want to hear the latest song by your favorite Top 40 singer, her music is probably on the playlist of every Top 40 radio station in the country. But if you want to watch the latest episode of your favorite TV show, usually only one network has the right to air it — so if you don't get that network, you're out of luck. When a USAToday tech blogger did a pros-and-cons rundown of current streaming services, for example, he noted that Spotify is the only platform offering on-demand streaming of Led Zeppelin's music library. Apple Music now has more paying subscribers per month in the United States than Spotify. Based on confidential details shared with Digital Music News, a recent report reviewed subscriber tallies from the country’s most popular music subscription providers, including Tidal, Spotify, Apple Music, and Sirius XM, with Apple Music now taking control of the top spot. Apple buys Beats -- good news for music lovers? 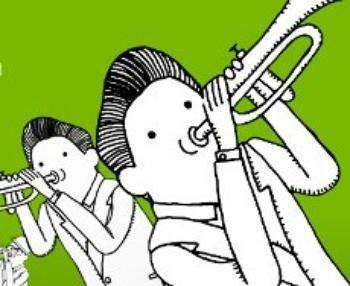 How about musicians? Maybe it's a little embarassing for Apple, the company that pretty much invented legal online music downloads, to have to pony up $3 billion to buy its way back into the business, as Apple is doing with its purchase of Beats. Some of the talking heads are saying the purchase will make Apple cool again -- whatever that means -- while others are saying the company acted out of desperation as it watched the likes of Pandora and Spotify take large bites out of iTunes day after day. OK, fine, so it goes out and spends $3 billion on a headphone company that bought MOG, a failing music streaming service, and changed its name to Beats. Of course, it's also buying Jimmy Iovine and Dr. Dre, who are officially cool and thereby good for Apple's brand. But what, if anything, does all this commotion mean for music lovers? Well, assuming that iTunes remains more or less intact, it means they'll still be able to buy downloads of individual songs and entire albums. Of course, that's something you can also do at Amazon, Google Play Music and lots of other places. In fact, at Amazon you can sometimes buy a physical CD and also get a download as well as the option of streaming it through Amazon's player. Perhaps Apple will offer some kind of bundle that combines iTunes and Beats that is a little more than the sum of its parts. It doesn't get a lot of attention but iTunes already has something iTunes Radio, which offers not just radio stations but streams of assorted musical genres. It's not quite clear how Beats differs from that except we're told it's cooler. Of course. Trying to stay on top of things, I signed up for Beats when it displaced MOG, which was an excellent service with far better audio quality than its competitors. I was promised a few free months and a transfer of all my playlists, neither of which happened. Beats so far has not even come close to figuring out what kind of music I like to listen to and bombards me with stuff that is wildly off-key. So maybe it's the coolest thing ever but then again, maybe not. So, except for those of us mourning the loss of MOG, it doesn't look like consumers lose anything in this deal, at least for the short term, and they will perhaps gain a few notes around the edges as new packages are assembled. What about musicians? They are, after all, where the music comes from and, as a group, they regard streaming as something akin to the plague. Bloomberg today tells the tale of Zoe Keating, a cellist who made more than $70,000 last year on royalties from iTunes and other download services. That's money she uses to pay the mortgage and keep the lights on. Pandora, Spotify and all the other streaming services paid her a total of $6,381 for the year. That's not enough to do much of anything. The music industry as a whole is having the same experience. Revenues are falling steadily as download spending declines and streaming services fail to make up the difference. Big-name artists are increasingly relying on concert tours to make up for declining CD and download sales. Lesser-known artists -- who, after all, make up the vast majority of the performing universe -- wind up playing in bars and on street corners, where unemployed ex-newspaper reporters may throw a few coins at them. One artist quoted by Bloomberg estimated that Pandora would have to play a track 312,000 times for him to make as much as a single CD sale. So this may wind up being the day Apple became cool again as well as the day the music died. Humans are always wondering what animals would say if they could talk. 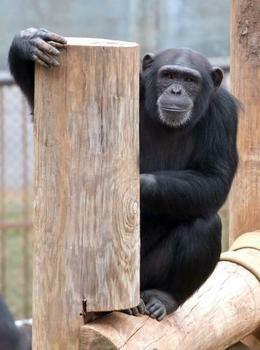 If chimps could talk, they might well say, "You call that music?" Researchers from Emory University and elsewhere found that chimpanzees prefer silence to music from the West but apparently like to listen to the different rhythms of music from Africa and India, according to new research published by the American Psychological Association. "Chimpanzees may perceive the strong, predictable rhythmic patterns [in Western music] as threatening, as chimpanzee dominance displays commonly incorporate repeated rhythmic sounds such as stomping, clapping and banging objects," said study coauthor Frans de Waal, PhD, of Emory University. de Wall said that the researchers were not trying to act as music critics. "Our objective was not to find a preference for different cultures' music. We used cultural music from Africa, India and Japan to pinpoint specific acoustic properties," de Waal said. "Past research has focused only on Western music and has not addressed the very different acoustic features of non-Western music. While nonhuman primates have previously indicated a preference among music choices, they have consistently chosen silence over the types of music previously tested," de Waal said. "Although Western music, such as pop, blues and classical, sound different to the casual listener, they all follow the same musical and acoustic patterns. Therefore, by testing only different Western music, previous research has essentially replicated itself," the authors wrote. The study was published in APA's Journal of Experimental Psychology: Animal Learning and Cognition. When African and Indian music was played near their large outdoor enclosures, the chimps spent significantly more time in areas where they could best hear the music. When Japanese music was played, they were more likely to be found in spots where it was more difficult or impossible to hear the music. Sixteen adult chimps in two groups participated in the experiment at the Yerkes National Primate Research Center at Emory University. Over 12 consecutive days for 40 minutes each morning, the groups were given the opportunity to listen to African, Indian or Japanese music playing on a portable stereo near their outdoor enclosure. Another portable stereo not playing any music was located at a different spot near the enclosure to rule out behavior that might be associated with an object rather than the music. Rock music in the 60's and 70's was all about youth and rebellion and was the soundtrack of a generation. So it must come as a shock to Baby Boomers, and even younger fans, to learn that the legendary rock band The Who is observing its 50th anniversary this year. Fiftieth anniversaries are what your grandparents celebrate, not your rock idols. But the surviving members of The Who are grandparents, or at least old enough to be. Roger Daltrey is 71. Pete Townshend is 70. But many fans consider their music timeless, not to mention ageless. Radio programmer and one of the pioneers of the “classic rock” format, Gary Guthrie, says no rock group other than The Rolling Stones has endured generational hand-offs, from older fans to younger fans, like The Who. “I might even go as far as saying that The Who made an impact on more genres and conceptual thinking with their punk'y ‘mod’ sound and what they did with 'Tommy' and 'Quadrophenia,'” Guthrie told ConsumerAffairs. "Tommy" and "Quadrophenia" came after the band had earned worldwide fame. But to celebrate the 50th anniversary The Who is re-releasing its early work, when it was competing with dozens of other British groups invading America. As part of the ongoing celebrations the band is releasing a series of 7-inch singles box sets containing work it produced while hopping from one record label to another. 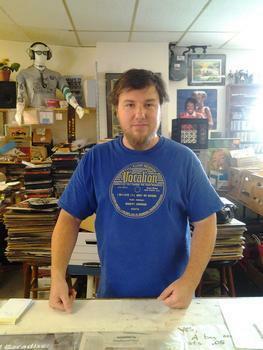 The first collection is "The Brunswick Singles 1965-66." 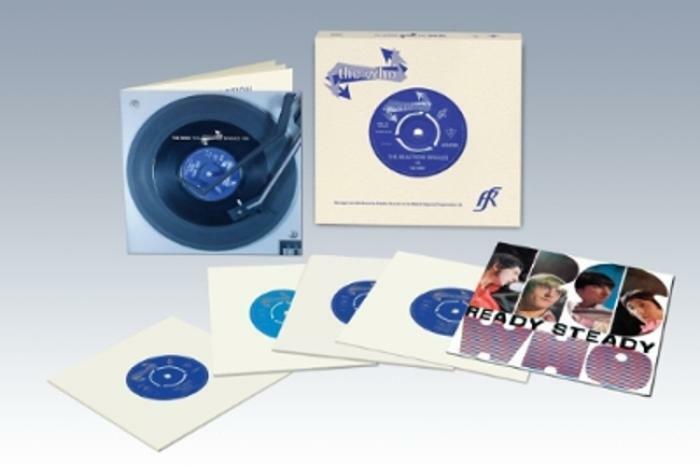 The follow-up is "The Reaction Singles 1966," a 4-part set of classic Who singles by labels Brunswick, Reaction, Track and Polydor. It contains five 7-inch singles from the Reaction label pressed on heavyweight vinyl with paper sleeves and reproducing the period graphics front and back with die-cut center holes. The singles come in a rigid lid-and-tray outer box that features a 7-inch sized color booklet with liner notes about each release by Who biographer Mark Blake. The period of time covered by the initial products are not without controversy. The rock music world was something of a Wild West environment during those years with performers routinely walking away from record labels in contract disputes. The Who was no exception. During one such dispute The Who released a song called “Substitute,” which had to be recalled over a rights issue. After its second release was successfully challenged in court The Who released it a third time, eventually hitting number 5 on the British charts. Apple revolutionized the music business with iTunes. Now, with the introduction of Apple Music, it wants to own the space. Steve Jobs brought about the 99-cents-per-song download, giving consumers the freedom to purchase just the songs they liked. That's great if you know what you like but many consumers frankly aren't sure what they like. That's why apps like Pandora, Spotify, I Heart Radio and TuneIn have been so successful. With Pandora, you enter the name of an artist or a song and the app puts together a playlist of similar tunes. With Spotify, consumers may browse music titles or search by artist, album, genre, playlist, or record label. I Heart Radio and TuneIn are collections of radio stations around the world – some Internet radio only – that can be accessed on a digital device. Apple Music, unveiled this week at the World Wide Developers conference, seeks to encompass all of that, and maybe a little more. First, it's a streaming service giving subscribers access to the entire Apple Music catalog on all their devices. Consumers who have a personal collection of digital songs from iTunes or ripped from CDs can store them in their Apple Music library and play them on any of their Apple devices. People spinning records on the radio used to be called disk jockeys. Now they are called "curators." Apple says it's hired top curators around the world to suggest songs to individual subscribers, based on their preferences. The app will also present a wide range of new Internet radio stations, each one programmed to meet a particular music niche. The new stations range in genres from indie rock to classical and folk to funk. But unlike traditional radio, when you hear a song you don't like, you can change the tune without changing the station. Apple Music's flagship radio station is Beats 1, a live station dedicated to music and music culture and will be available in more than 100 countries. Beats 1 will feature influential DJs Zane Lowe in Los Angeles, Ebro Darden in New York and Julie Adenuga in London. Listeners around the globe will hear the same great programming at the same time, regardless of time zones. Apple Music has enlisted Siri's help as well. She might not be a music expert but she does know how to find things. If you're in the mood to relive a certain era, just ask Siri to play the tops songs from 1985. The service launches June 30 with a 3-month free trial period. After that, an individual subscription is $9.99 a month and a family plan, allowing as many as 6 individual users, costs $14.99. Competitors in the space are preparing for Apple's ambitious entry into their space. If they are concerned, they aren't saying so publicly. Spotify's CEO says the company has 20 million paid subscribers and doesn't expect to lose many to Apple. Meanwhile, Spotify and Pandora both have free, ad-supported music services and I Heart Radio and TuneIn are both free. Will consumers pay for Apple's music service? Apple is betting they will.